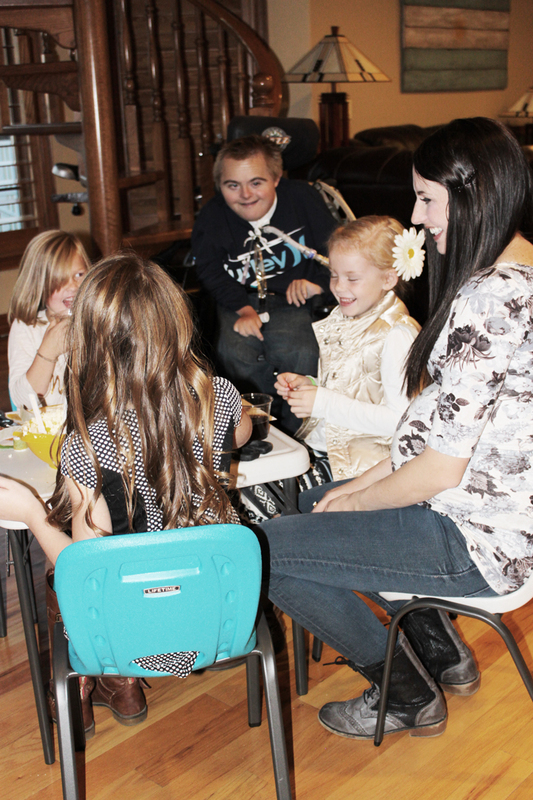 I have the sweetest girls that live over by my mom, and sometimes we like to have little craft parties! 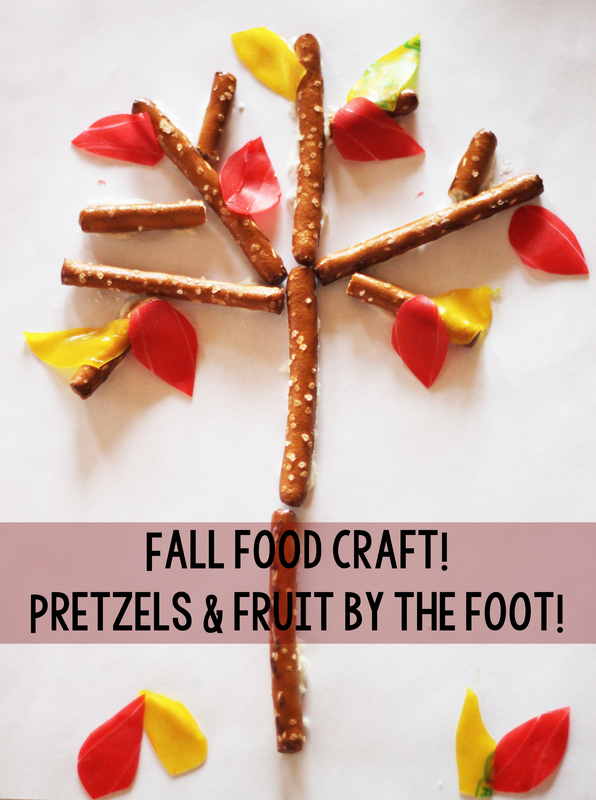 When I started looking into crafts that we could make with treats for fall, I wasn’t loving anything I found… I had the idea to make trees with pretzel sticks and fruit by the foot or fruit roll ups! I was so excited with how they turned out and how easy they were for the girls to put together! They range from ages 5-7 and they all could do it completely on their own! 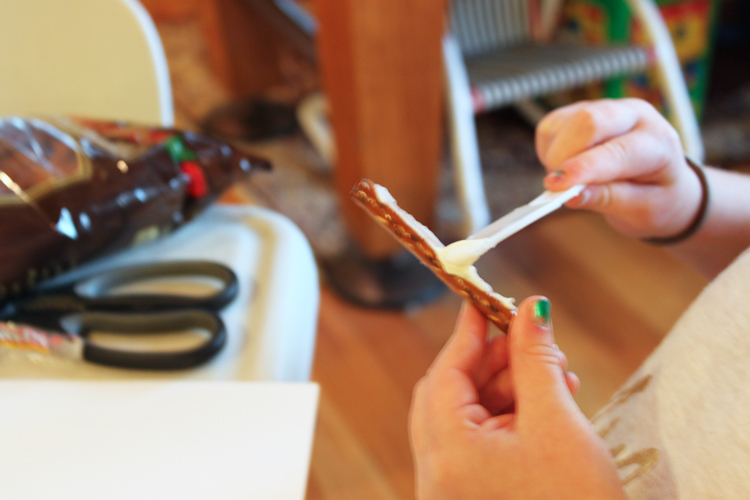 -Pretzel Rods or Sticks – I found these medium sized pretzel rods at Harmon’s and they worked perfect! -Fruit Roll Ups or Fruit by the Foot – I found that the Fruit Roll Ups were a lot more sticky and harder to cut… I reccommend the Fruit by the Foot for this project! -Cardstock or Plates! We used cardstock so we could get better pictures for you. If they will be taking them home or they will be moved a lot I recommend plates because the paper would bend and some of their pretzels would fall off. They were excited when they fell off though so they could eat them! -Have them put frosting on the back of the pretzels to make the trunk and the bigger branches. 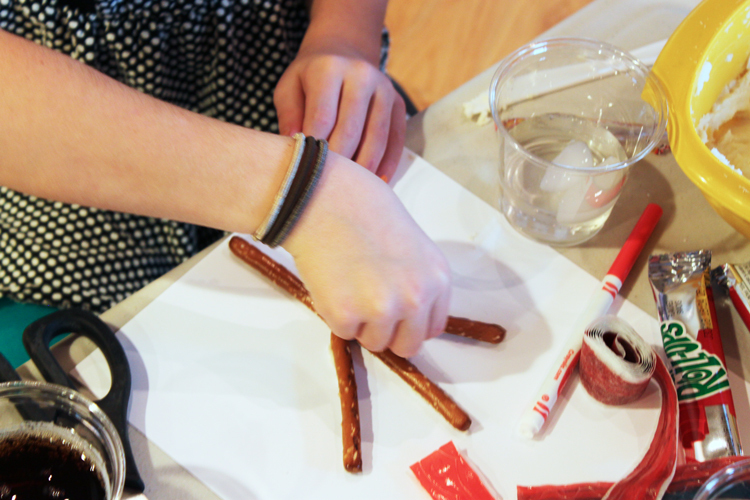 For the smaller branches we just broke the pretzel rods so they were smaller. So easy! 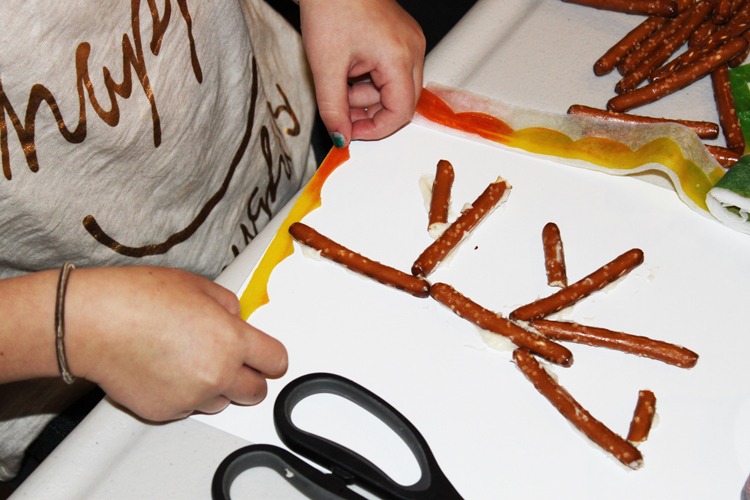 -Have them design their own tree and put the pretzel rods on the paper or the plate. I had them start with the bigger branches and trunk then move to the smaller branches. -I gave them free rein on the Fruit by the Foot. It was so fun to see their creativity from grass to the different shapes of leaves that they cut out! We just used kitchen shears for scissors, but I am sure any scissors would cut through the Fruit by the Foot easily! -Take time to enjoy the moment! The little giggles and chats were my favorite! 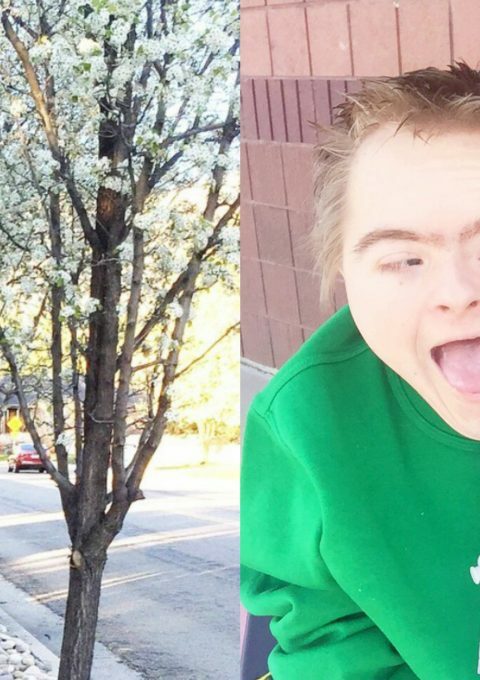 We talked about everything from boys in Kindergarten and 2nd grade to our favorite sports. These girls are just the most darling! 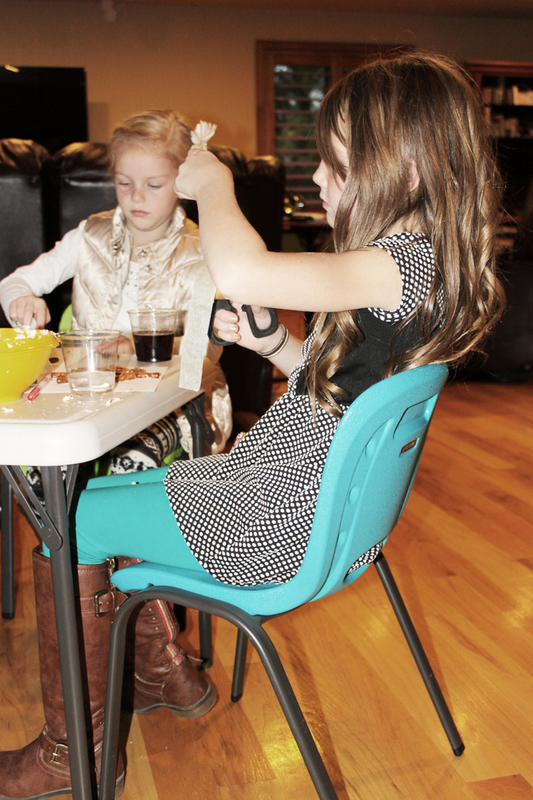 -I was so excited to try out the new Lifetime Products kids table and chair set with these girls! (And note the chairs can even hold me! A big ‘ol pregnant girl! They were so sturdy and I never felt like I was going to break it…) It was the perfect table height for the girls to be able to reach their supplies and it didn’t take up too much space at my moms house. I was shocked that when the girls were playing and being girls that none of their chairs tipped over or even came close. One little girl even tried her hardest to see if she could get it to tip. She had no success. I asked them what they thought about them and one little girl said “You can tell people they are KID APPROVED and PARENT APPROVED because we would take you as our mom!” The colors of the chairs are so fun and I love that we could pick out what colors we wanted when Zach and I were snagging one for baby K! They are at Costco right now and seriously the greatest deal! The table is only $19.99 and the chairs are only $13.99 a chair! I love that you can buy however many chairs that you need for your little family instead of being stuck with a set or having to buy another entire set for 1 chair. Just note though, these babies are already going fast at Costco so you will want to snag one as quick as you possibly can! The possibilities of the table and chair set is endless! 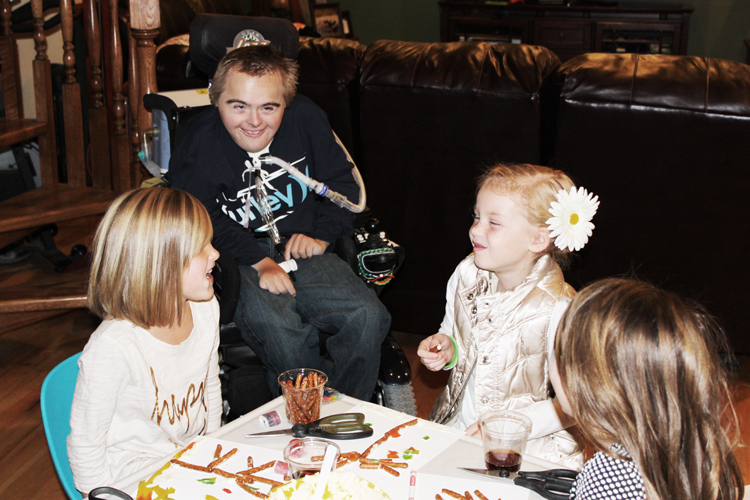 Think family parties, Thanksgiving dinner, play rooms, CHRISTMAS PRESENTS, anything!! Okay so now show this post some love and pin this craft on Pinterest so you can remember it for when you are in charge of class parties/crafts or even just to do with your little ones at home! They girls absolutely loved it and it could not have been easier to put together. I mean you only need 4 things!! And I bet you that you already have some of them at home! 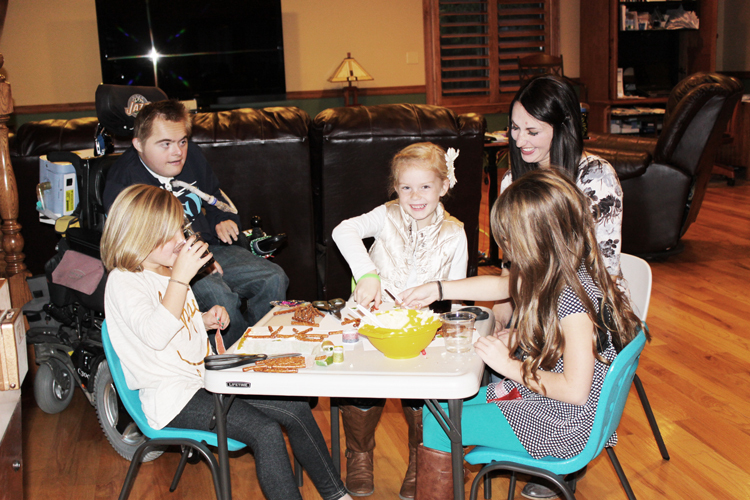 The kids table and chair set was given to me for this review. All opinions and comments are my own and I seriously am in love with this product! I can’t wait for baby K to be big enough to sit at it!